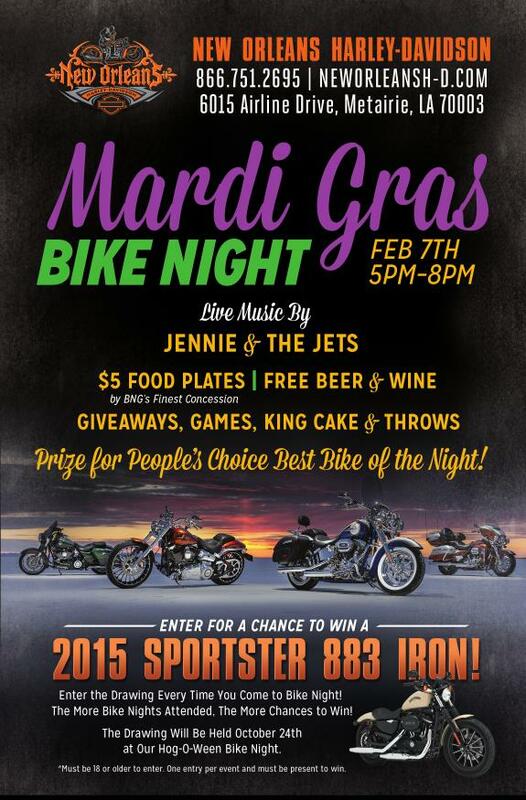 Mardi Gras Bike Night THIS Saturday! On Saturday we will be performing at the New Orleans Harley Davidson for their Mardi Gras Bike Night! Free beer and $5 for food! Starts at 5pm!